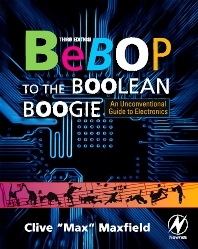 This entertaining and readable book provides a solid, comprehensive introduction to contemporary electronics. It's not a "how-to-do" electronics book, but rather an in-depth explanation of how today's integrated circuits work, how they are designed and manufactured, and how they are put together into powerful and sophisticated electronic systems. In addition to the technical details, it's packed with practical information of interest and use to engineers and support personnel in the electronics industry. It even tells how to pronounce the alphabet soup of acronyms that runs rampant in the industry.